Hi everyone! 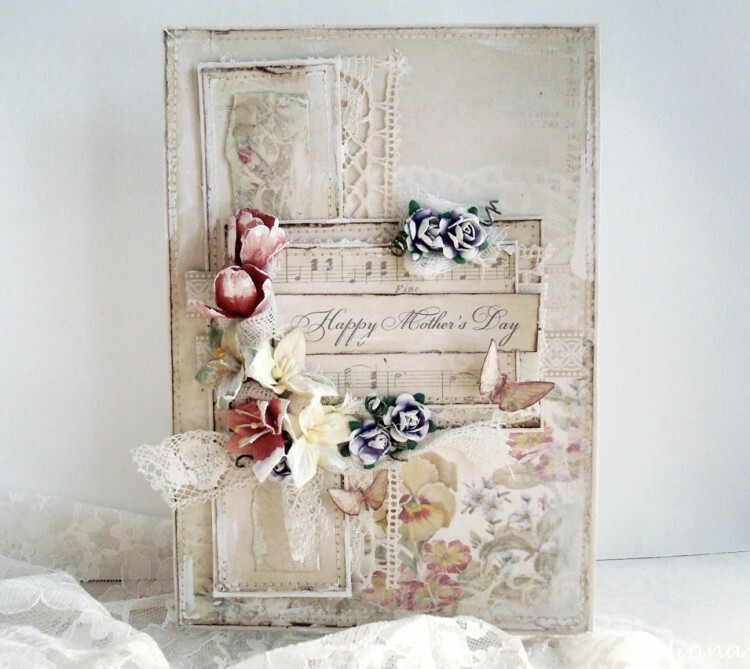 Here is a card I made for mom using papers from For Mother collection. The beautiful image is from From Grandma’s Attic ~tinted. 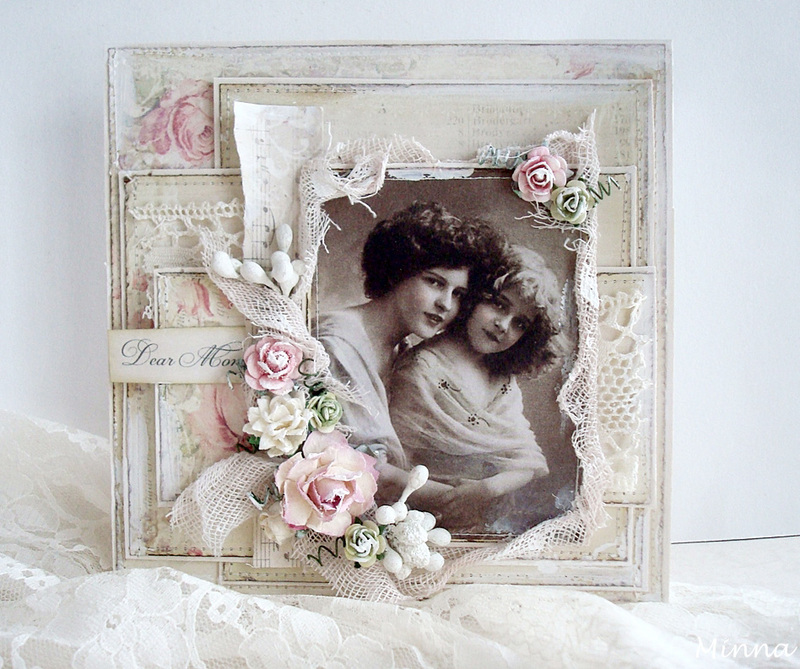 I have added some colored gauze and flowers, and also a little bit gesso for the edges. Here is another card made for Mother’s Day with the collection For Mother. Some flowers and laces and my favourite additive, white acrylic paint.